Our daughter is in Europe as part of her post-college graduation celebration. Should be wonderful, no? Well, we all thought so during the six months of planning involved, but unfortunately the trip hit the rocks on the three-stage plane ride to Spain. Beautiful Child of our Hearts planned all along to travel with a good friend who has a mild anxiety disorder. This didn’t seem to pose a problem because, up until boarding the plane, Friend had always managed it successfully with meds. However, all that changed with the prospect of hurtling approximately 12,000 miles through the sky in a giant toothpaste tube. In spite of everything her pharmaceutical interventions had to offer, Friend still collapsed and wound up crying for the almost seventeen hours it took to get to Madrid. Things were somewhat better on land, but by the time the two of them limped into Paris, Friend was experiencing a full-blown meltdown. It was at this point we received the phone call alerting us to the fact that we now had a mental health/medical crisis on our hands. Enter: The godsend of modern telecommunication technologies. I don’t remember now the exact sequence involved, but at the crescendo of the next three hours of crisis management we had myself in Boise, my sister in Seville, my wife-in-law in southern California, my nephew in southern France, Friend’s (frantic) father somewhere else here in Idaho, an airline phone representative who was God only knows where in the world, and of course our two, inexperienced travelers in a tiny, internet cafe/closet in Paris, all tied together by an intricate web of technology, working on the common goal of getting this fragile, at-risk, woman-child safely home. Even in the midst of the major stress involved I was struck by how amazing it was; the bewildering complexity of communication taking place. This was so not the world I grew up in. We utilized telecommunications capabilities provided by Skype, Sprint, AT&T, Verizon, Telefónica, France Telecom, a couple of land-line phone providers, and whoever the telecommunications company is in Estonia. There was a staggering array of computer and hand-held device makers involved as we all furiously worked online; talking to the girls, researching various train schedules and flight options, and firing notes and links off to one another through email and instant messaging capabilities. Now, I’ve seen all the commercials. I know that what we were doing barely scratched the surface of the mind-boggling communication possibilities available in today’s world. But it was still amazing and miraculous and wonder-filled to me. 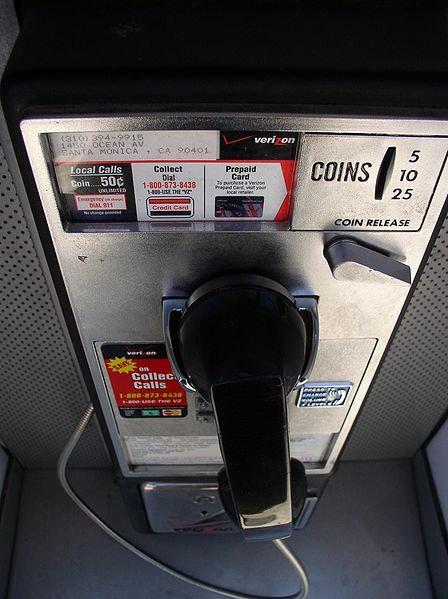 Twenty-seven years ago when I made my first trip to Europe, the only way to communicate en-route was with collect calls on an ancient system of randomly placed pay phones. Today’s situation would have been far more difficult (and terrifying) to negotiate back then. My father-in-law regularly bemoans the way technology is taking over the world. He feels that it’s gobbling up increasingly large chunks of our lives, smothering so many of the old pleasures that used to nourish our hearts and minds. He thinks people should spend less time in front of a screen and instead get out in nature more, talk to each other more, read and attend lectures and go dancing more. And he’s not wrong. One of the modern disciplines we all need to develop is getting up out of the chair and walking away of our own volition. That said, my daughter and her friend would have been in a lot more trouble than they were without all the advantages that have also come to us through technological developments. There’s an old proverb that says something like Everything is both a blessing and a curse. I think it’s always our job to reap the blessings while keeping an eagle eye out for the curses. Long story short, together we found a way to get Friend onto a plane, out of Paris and…a mere twenty hours or so later…safely back home again. Beautiful Child stayed behind in Paris, a little scared but stubbornly determined to see the city of her dreams anyway. But finally, a bad case of bed bugs drove her out of the hostel in France and down to her aunt’s house in Seville for help with the infestation. (A whole ‘nother episode of fiasco that deserves it’s own post.) C’est la vie, no? Oh no. Bedbugs? What a cavalcade of misadventures for your young traveler. After surviving all that, she will know she can survive anything! I just hope to god my sister was able to completely de-bug her. All it takes is one egg and then…what a nightmare! !